What are some popular destinations for weddings? From Alberta, where I’m located, the most popular destinations are Puerto Vallarta/Riviera Nayarit, Cancun/Mayan Riviera, Los Cabos and Punta Cana. 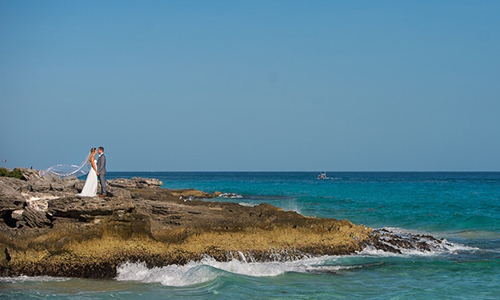 What are the most important things when planning a destination wedding? Chose an agent who specializes in group travel and has an excellent reputation in the industry. Go with your wants & needs and not all the wants & needs of everyone invited. If a bride tries to follow the recommendations of 20 different people, nothing will get done. Ask you agent & onsite wedding coordinator questions! Knowing how the process works, with the terms & conditions, will eliminate any problems and assumptions along the way. How long in advance do you recommend planning a destination wedding? A wedding can be organized with very little time, however keeping guests in mind and budgeting, it is recommended to book a wedding 10-12 months in advance. How does it work when the guests are departing from multiple places? A group can include any city that the airline offers and all cities can be booked under the same group contract. The flights may be departing & arriving on slightly different dates but to keep the group together and secure under one booking number, it is recommended to use one tour operator for the whole group if possible. What is the advantage of using a travel agent to plan a destination wedding? 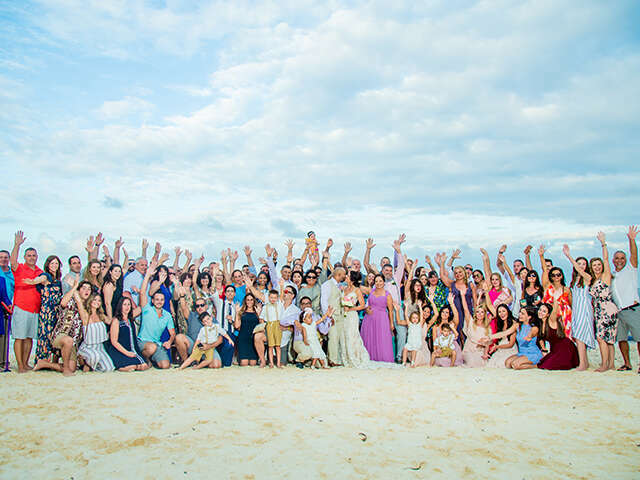 Travel agents are experts at juggling complicated itineraries from large groups, and dealing with the many moving parts that come with a destination wedding. They also know the resorts and destinations that they are dealing with, and will often have contacts on the ground, which can prove invaluable. And if something unexpected happens, all the stress is on the shoulders of the travel agent; to find a solution and clean up the mess before the wedding couple even knows about the problem. If there are major problems passengers are never sitting on hold in a queue or send an email waiting days for a reply; a nearly immediate response is always possible during office hours. Photos from weddings that Elicia has organized, thank you to the couples for sharing them with us.